16th May 2014 was a historic moment in Indian politics. 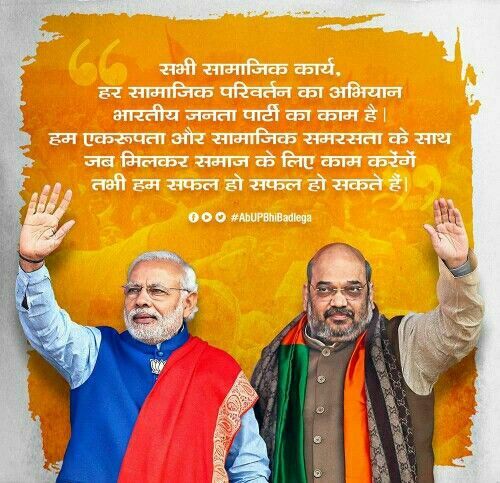 The party that was always considered “destined to be sitting in the opposition”, the party that “didn’t have it to make it large” and the party that had stemmed from the “Communal Sangh” was victorious with an absolute majority. I was the BJP. The dynastic party, the Congress was wiped off and reduced to a meager 44 seats all over India. Hindus all over the country felt jubilant and it was looked like a fresh wave of independence because 70 years since independence, the Hindus were always made to feel guilty about their existence and were vilified for just being The Hindus. At the top of the targets were the Brahmins who were accused of all sorts of hate crimes like patriarchy, misogyny, casteism by the so-called intellectual liberals who enjoyed unfettered and unbridled patronage under the Congress. Now, it was time for the Hindus and their party – The Bhartiya Janta Party – whose senior leader was also famous for reclaiming the land where the Ram Temple existed and this party rose to power by promising the Hindus that it would build the Ram Temple there. The biggest hope that Hindus had was that now, at least, they won’t be subjected to religious persecution at the hands of the so-called minorities (which is a misnomer in itself) under the cute name of secularism. Self-proclaimed intellectuals and intellectually challenged pseudo-liberals would leave no stone unturned in demeaning Hindu faith and customs by naming it patriarchal, oppression of women, misogynistic and for the lies that they manufactured, they would get rewarded with adulations and appreciations, let alone getting punished for it under the institutionalized intellectual slavery that Congress was pushing the country to. And for the first time, since independence, the Hindus felt that India was their country. But, the honeymoon was short-lived and the BJP started disappointing Hindus by bringing in measures to appease Muslim women (the Triple Talaq ban), demolishing temples in Varanasi, not taking stern action against anti-national channels like NDTV who openly support terror and Pakistan and of course, not even a whisper of building Ram Temple in Ayodhya which was The Promise made in 2014 General Elections. And now, the 2019 General Elections are coming and we should not be surprised if the same promise comes up again and Indians fall for it. But, these aren’t really big political mistakes by the BJP, because they are still amenable. This article is going to highlight the 3 big political or diplomatic mistake that the BJP Govt. at the Center has made so far. These mistakes can have short-term to long-term ramifications, not only for BJP but for all Indians. So, let’s see what these three mistakes are? All the decisions were taken either due to a policy of appeasement or due to lack of foresight, acting penny wise pound foolish or generally succumbing to the herd mentality without the application of brains. And if the BJP would continue to make similar mistakes in the future, then it does not have a bright future in a complex, volatile, dynamic, chaotic and fragile society of India that is currently fast transgressing from a conservative society to a modern one. For a country that has been far too long on the “Developing Country” list and now needs to get to the “Developed” stage, these mistakes are taking it back in time. And BJP is responsible for this and whatever be the reason or the justification that the BJP top cadres and the Party High Command may have, it’s now time for them to get their act together. Either they have the wrong advisors, or the wrong strategists or simply put, the communication between the advisors and the strategists are not functioning. Either ways, with 2019 General Elections fast approaching, BJP needs to get its act together. So, let’s see those 3 mistakes of the BJP. Israel has always been a contentious country, but so is India. And it is more of a compliment than a criticism to be a contentious country as it thrives despite controversies and conspiracies. When India got independence and RAW was formed as the intelligence group of India, Israel’s Mossad and USA’s CIA were the two prime agencies wherefrom RAW agents got training. However, the involvement of the CIA was more like a trade, wherein the CIA wanted to control a lot of India’s policies and also monitor India’s nuclear progress after they themselves had successfully developed a large nuclear arsenal and were then imposing NPT on all the developing countries. But Mossad had helped RAW selflessly and unconditionally because Israel had always considered India as its ally. Even in its war against terror, Israel had taken a commendable stance and it just did not make sense for India to disappoint Israel by voting against it in the Jerusalem capital issue. And look at today, when POTUS Donald Trump opened the US Embassy in Jerusalem. Let it also be known that it was only on Trump’s watch that the long-standing feud between North and South Korea took amicable turns. The world order is changing. With Trump in the USA, Putin in Russia, Netanyahu in Israel and Narendra Modi in India, geopolitics is taking an interesting route from here. And this is something a leader like Narendra Modi should have paid attention to. But, as I said, the mistake is undoable. We just have to hope from here on that we don’t pay a price too big for this indiscretion in future. I would say, a big diplomatic mistake. Cross-Border Terrorism, a standoff with Pakistan and the conflict of Kashmir has not only been a huge dent in India’s fiscal budget since 1947, but countless lives have been lost in the process. Lives of sons of India, who serve their country, lives of Kashmiri Pundits and the occasional tourist deaths that have happened over years. 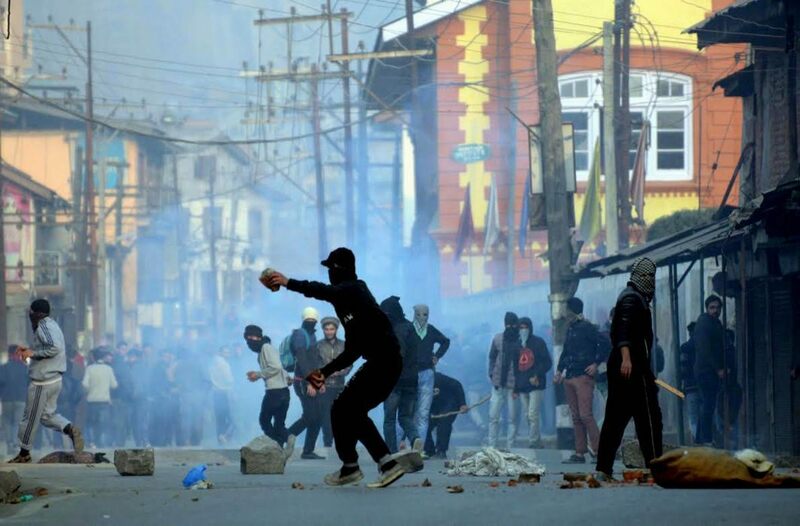 Political leaders of J&K region have never inspired enough confidence in the Indian Govt. and the terrorists, who kill innocent people are all Muslims. And yet, a section of mainstream media, intellectuals and many celebrities have often objected to identifying these terrorists as Muslims and always insisted on the premise that “terror has no religion”.However now, on the insistence of Mehbooba Mufti, the J&K CM, a ceasefire against terrorists has been announced for the month of Ramadan which is considered holy for Muslims. Why is it so hard to see that trust is a 2-way street? On one hand, there is a whole narrative that terror has no religion, and in fact, erstwhile Finance Minister Mr. P Chidambaram even invented a misnomer “Hindu Terror” in order to create more chaos and confusion in the Malegaon blasts of 2008, but then suddenly, the Govt. decides to go soft on terrorists in the holy month for Muslims only, such steps do not inspire confidence. It also emboldens the terror outfits that they can continue to terrorize us, wreak havoc in a place like Kashmir and also arm-twist opportunistic politicians for giveaways. Most importantly, it hurts the Hindus and BJP is responsible for this. Moreover, do the terrorists stop to think before killing innocent pilgrims in Amarnath Yatra? Then why this benevolence on the enemies of humanity? And that too, in the year before General Elections? On whose side are we in this war on terror? This is a big political and strategic blunder by the BJP. Now I know that BJP loyalists are not going to like this, but politics is not played on emotions like a child’s game. One needs to be ruthless, cold and devious in politics to thrive because your rivals would exactly be the same. Now, BJP is on a mission for “Congress Mukt Bharat” and wants to rule all the states. Well, a benevolent idea but what is really a Congress Mukt Bharat? Is it just defeating the Congress party in elections and forming a Govt. there? If that’s the vision of BJP, it’s very myopic. Because, Congress, is not just a party, it’s an ecosystem comprising of the political party itself, its party leaders, party workers, NGOs, journalists, intellectuals, celebrities, bureaucrats, Govt. officers and so on and so forth. Has the BJP even imagined the scenario wherein it is the party ruling all over India while Congress fools the gullible Indian people with its sob stories and victim card? And having no opposition at all is a dangerous predicament to put oneself in, because then you give your critics the trump card of calling you a dictator. For a truly Congress Mukt Bharat, the Congress party itself needs to stick around in 2-3 states in a pathetic condition so that the rats jump the sinking ship and the ecosystem is broken at the core. And for that, the cold and devious stand of allowing your enemy a few last breaths is needed, especially when 2019 General Elections are approaching and it is extremely important for the BJP to win with absolute majority, otherwise, India will be thrown back into the chaotic state of the 90’s where only politics was played and development was on the backstage. 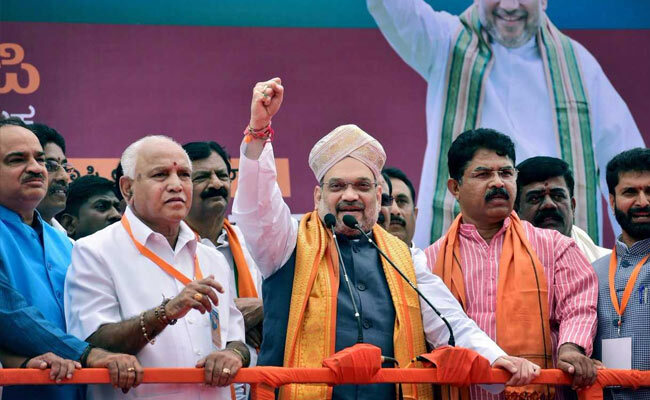 Now, in Karnataka, with 104 seats, the BJP would have formed a formidable opposition. 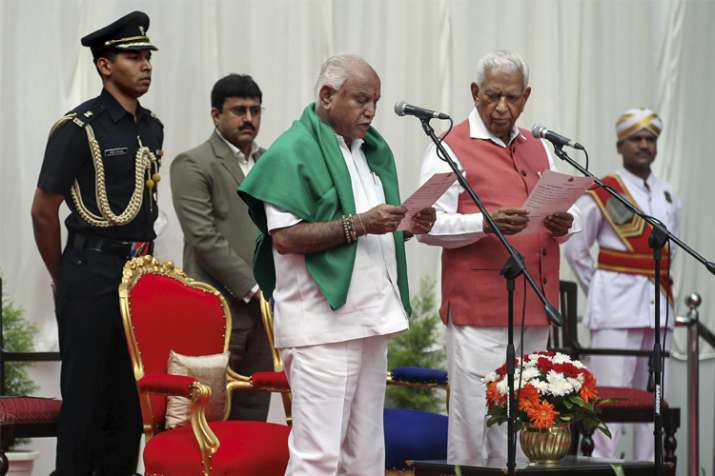 The opportunistic political bond of the Congress-JD(S) would have withered with shrewd opposition politics by BJP. Also, the Congress and the JD(S) would have been burdened with running the State and with less time on their hands to prepare for 2019 General Elections, while the BJP would have been free from administrative duties. This would have strengthened the political positioning of the BJP in the 2019 elections and weakened that of the Congress and of the JD(S). But, BJP took it as an ego decision and went overboard in trying to form the Govt., not to mention the dubious distinction it is earning because of the post-poll schematics being pulled off, just to form the Govt. even if the election results do not pronounce it such. And using this opportunity to avenge what happened in 1996 Gujarat Assembly with Shankar Singh Vaghela was kiddish and moving back in time. Now, with the BJP forming Govt. with such marginal numbers, the reverse game would be played. It would be caught up with running the State, while the Congress and the JD(S) would engage in mud-slinging while preparing for the 2019 elections. Yet another political and strategic debacle by the BJP. The path hereon for the BJP should be to acknowledge these mistakes and make sure not to repeat such mistakes in future. Is the Real Estate Market Really Going to Crash? 2019 में कौन है पीएम मोदी की टक्कर में? Who invented Snakes and Ladders OR Moksha Patam?